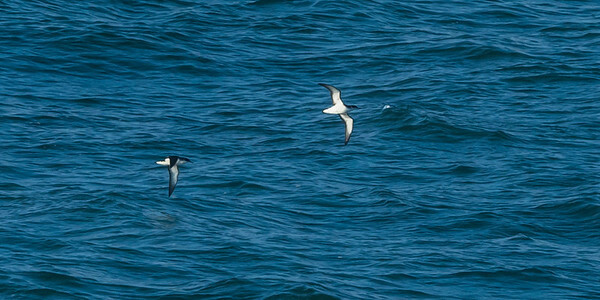 Manx Shearwaters coming close to Skokholm when the evening is beginning. 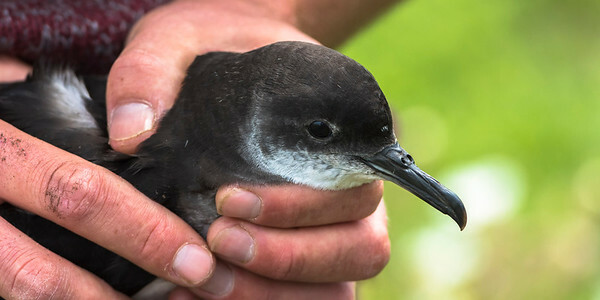 Manx Shearwater, portrait of a very calm and harmless bird. 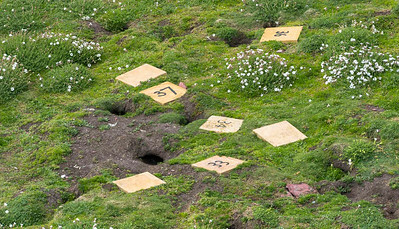 Manx Shearwater, nesting holes with numbered plates covering the nest. 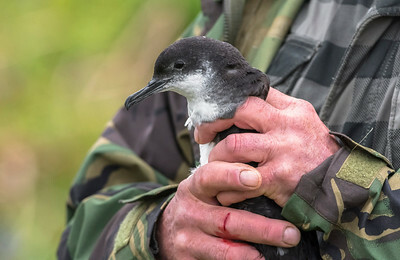 Manx Shearwater. 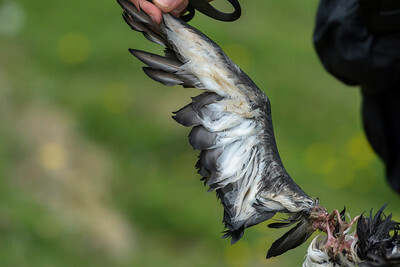 .Investigating a breeder by removing the numbered plate and lifting the bird.. 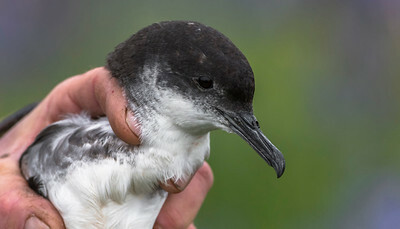 The thousands of Manx Shearwaters approach Skokholm and dare to land at the nest only in the black night. 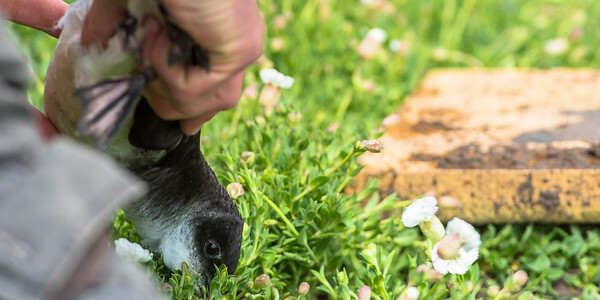 The Greater Black-backed Gulls hang like sharks over the colony to get the Shearwaters. 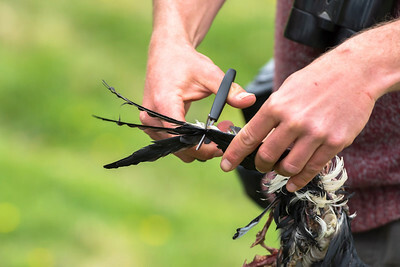 The wing-tip is cut off to make sure that the bird will not be counted twice. 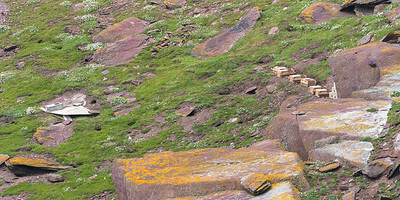 Wildlife Sound Recording. 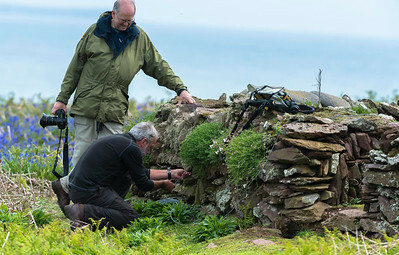 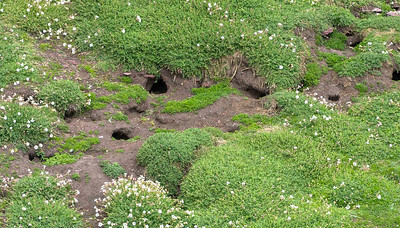 Simon Elliott miking up a Storm Petrels nest in the old garden wall at the farm, Skokholm, Wales.